MAD Science club is run by Mr Innes. It aims to make science FUN! We do loads of hands on experiments that teach lots of science in a fun and exciting way. We learn how to use and look after science equipment and how to record results of experiments accurately. We make rockets and launch them to learn about pressure. We learn about acids and alkali's and testing different materials to see what they are. 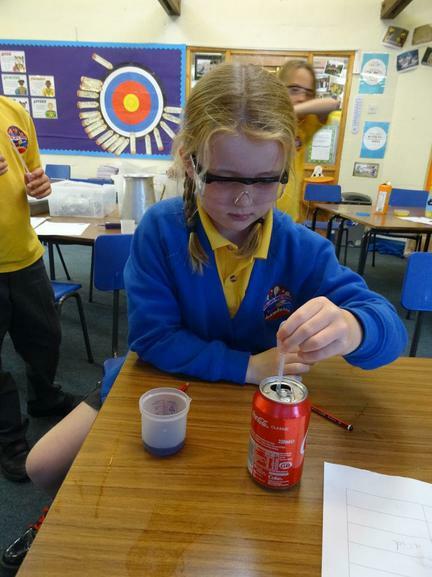 We will also be forensic scientists, solving the murder of the headteacher using a technique called chromatography. 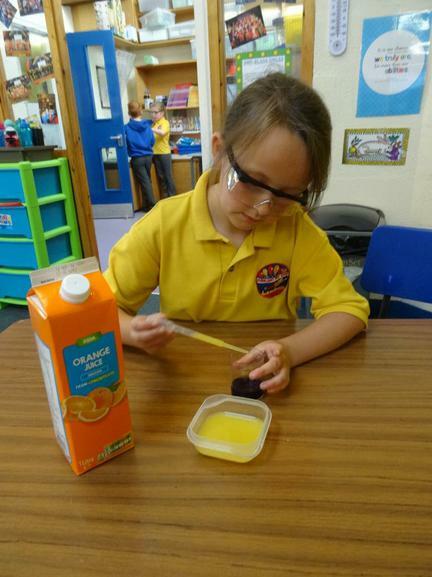 In this investigation the children had to test a variety of everyday food products to see if they were acids or alkalis. They did this by dropping small quantities of each product into an indicator solution and watching to see if it changed colour. Acids turned the indicator from purple to bright pink whilst alkali's turned the purple solution blue or green. This required the children to work scientifically, using different pieces of equipment sensibly and washing it to avoid contamination. It also required the children to record their results accurately. After the investigation we talked about how lots of foods contain acid. 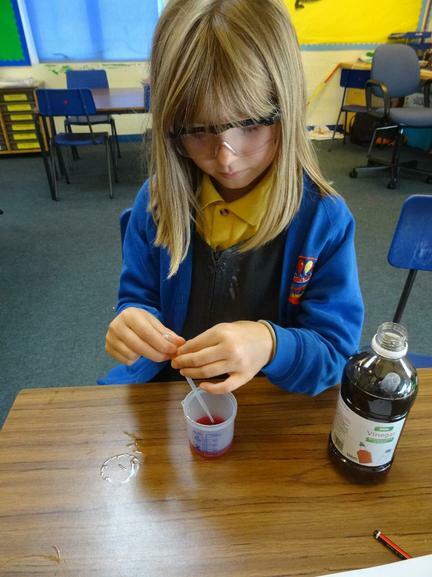 We looked at how acids affect the body and what we can do to keep ourselves healthy.